We all know ice and aircraft don’t mix. Anyone who’s spent any time in the sky understands that ice forms on the propeller before anywhere else on the plane, which causes a loss of power and can eventually ground your plane – sometimes permanently. Prior to World War II, icy weather consistently grounded planes, causing air travel to come to a complete halt during the worst of the winter months. If there was ice, it simply wasn’t safe to fly. Pilots would begin each chilly day by checking to see if their plane was free of ice on the ground. Whenever there is visible moisture in the air icing can occur quickly on leading edges. So in flight, all pilots could do was avoid the altitudes where there were freezing temperatures. America’s entrance into the war and the soaring popularity of commercial flights increased the need for dependable flights, making icing an obstacle that needed to be overcome to fly safely through the skies. Over the years varying levels of de-icing techniques have been tried to keep planes in the air. Today, it’s now possible to prevent propellers from icing through a variety of techniques and applications. Electrical heat or chemical anti-ice fluids turned on before entering icy conditions can actually prevent ice from forming on your propeller. 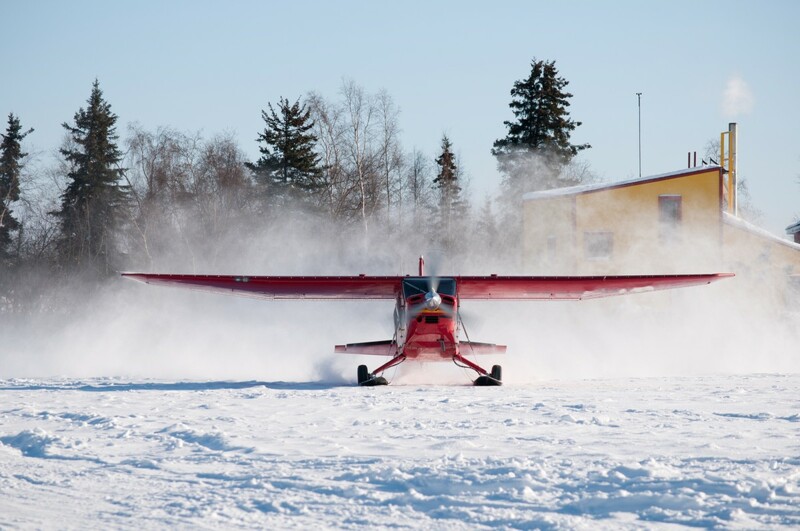 Blades like those we provide for many Cessna models include an electric de-ice option that can keep the leading edge warm enough to prevent the accumulation of ice. Additionally, propellers can be fitted with anti-ice technology such as the type we offer with our Travel Air 2-Blade. These blades can be fitted with nozzles that use centrifugal force to send alcohol down the leading edge of the blade and prevent ice from forming on it. The proper parts and equipment are critical for safe operation of your aircraft, especially in inclement weather. If you have any questions about de-ice or anti-ice options for your specific propeller blade, contact us.